A new exhibit at the Ryerson Image Centre aims to redefine photography’s history through partnership. 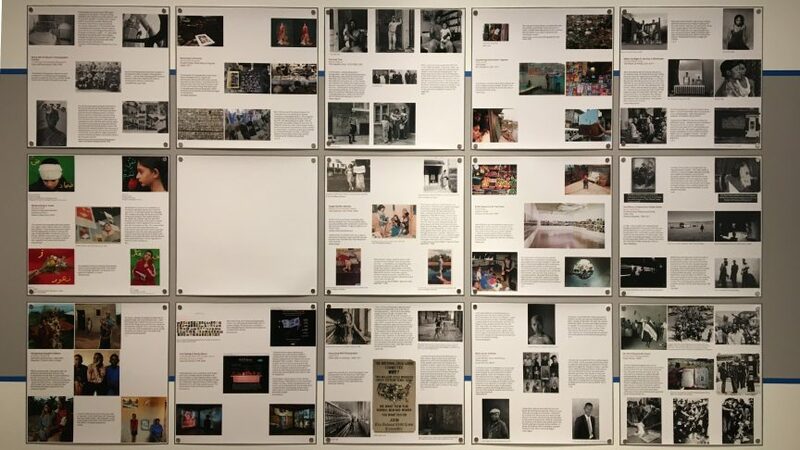 “Collaboration: A Potential History of Photography” brings 90 projects together into clusters, then organizes them into grids. These clusters include quotes from both the subject and the photographer. Guest curator Ilana Shamoon says that the organization of these projects is key in understanding what they mean. 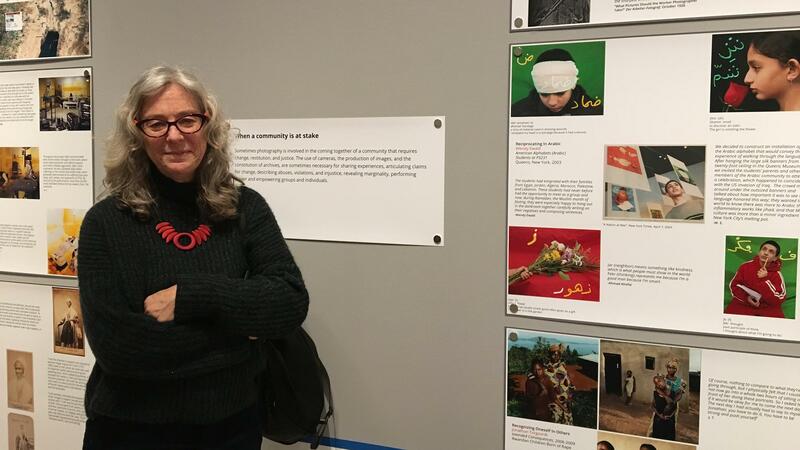 “One of the main goals of this project is to contextualize images in terms of the circumstances under which they were created, the people who were involved and participated in the image making,” said Shamoon. Photography Wendy Ewald, one of the contributors to the Collaboration project, stands besides her work. The exhibition’s description explains that it aims to “reconsider photography through the lens of collaboration, suggesting that the medium—traditionally understood as one dominated by singular creative adventurers. Wendy Ewald, one of the creators of the project, also contributed to it. Her work is featured in a few of the grids, and says that the relationship between herself and the subject is key in her work. One of her contributions is a brightly coloured series focusing on students in Queens, New York City. “These are all students who are Arabic speaking. It was right after Sept. 11, so there was a lot of tension. I asked them to make an alphabet of the Arabic language using the words they wanted to represent the letters,” says Ewald. “In the end, they drew on the negative because it was film, so they drew the letter and then the word”. The exhibit aims to keep its audience questioning, but doesn’t give them definite answers. Some clusters purposely have symbolic white spaces. 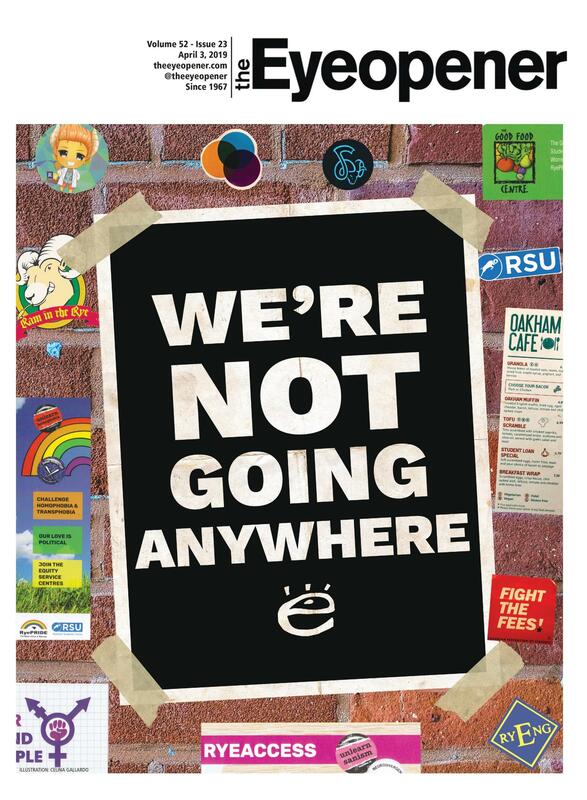 “The blank spaces basically represent this idea that things will be added, things will be taken away, and that it will continue to evolve as it moves forward,” said Ewald. Some clusters have empty grey spaces, a stand in for pieces that were removed either because an artist didn’t want to participate in the exhibit anymore, or because the photos were taken without consent. However, some of these pieces are still shown in some of the grids. “Collaboration: A Potential History of Photography” will be on display until April 8. The exhibit is free and open to the public.